I have mentioned before, that when we first became sponsors with Compassion, we really didn't understand the importance of letter writing to our sponsored child. It wasn't until our first child's family moved away, and we chose another child, that we made more of an effort at writing letters on a regular basis. We followed the suggestions, shared some of our favorite things, talked about the seasons, added a Bible verse, attached a photo or two, and sent some encouraging words. But it wasn't until I met Lina on my Compassion sponsor trip to Colombia that I learned about the impact of our words. When I learned that my letters to Lina made a positive impact, how could I not want to continue to do this? Sponsoring a Compassion child and writing letters seems like such a small sacrifice. But the impact is much bigger than I may ever know. 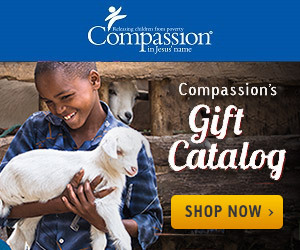 So many Compassion kids are learning about Jesus, because lots of people have decided to spend $38 a month on a child living in extreme poverty. So many Compassion kids are staying out of gangs, because lots of people are sending letters with Bible verses to these kids. So many Compassion kids are making a difference in their communities, because the impact of our words are making a difference to these kids.